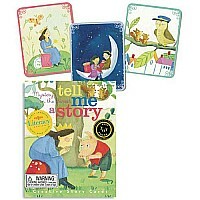 Storytelling is a very important component of literacy skills. Build pre-reading skills like sequencing, vocabulary development, narrative and comprehension skills by engaging in storytelling. Use the cards in many ways to facilitate the fun of the tale, everyone will get into the "act".